The Guard Dog Katana offers a never before seen style of self defense. 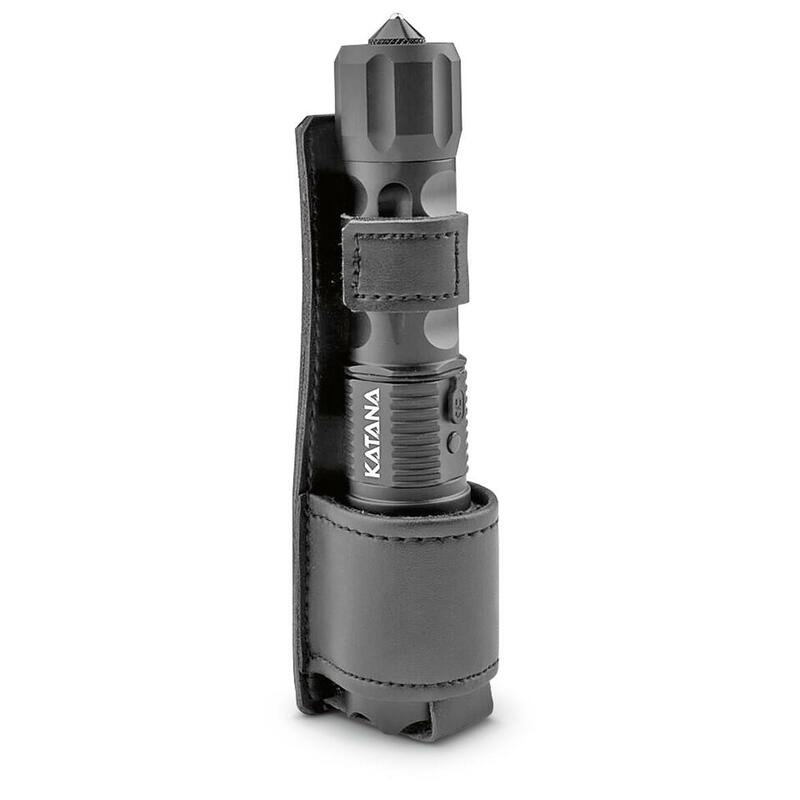 With a 400-lumen light, concealed inner stun technology and metal tail cap striker, you're prepared for any situation that may arise. 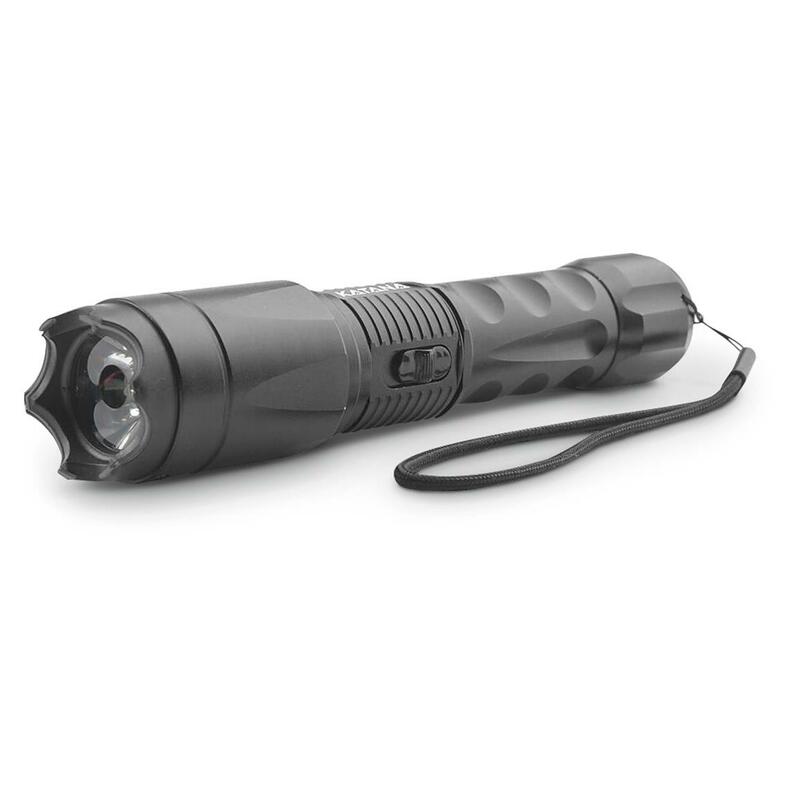 The 400-lumen flashlight is capable of blinding your target, giving you time to prepare or flee. 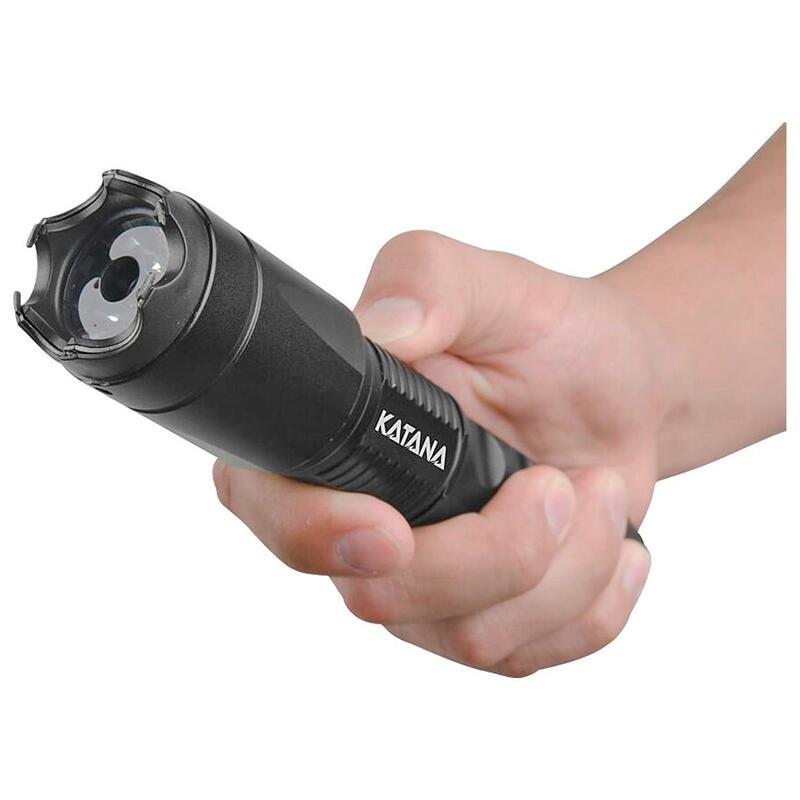 The Katana hides the prongs of the stun gun allowing for daily use without exposing its hidden nature. The built-in tail cap striker can be used to shatter glass or for self defense. Multi-function light keeps your way lit. 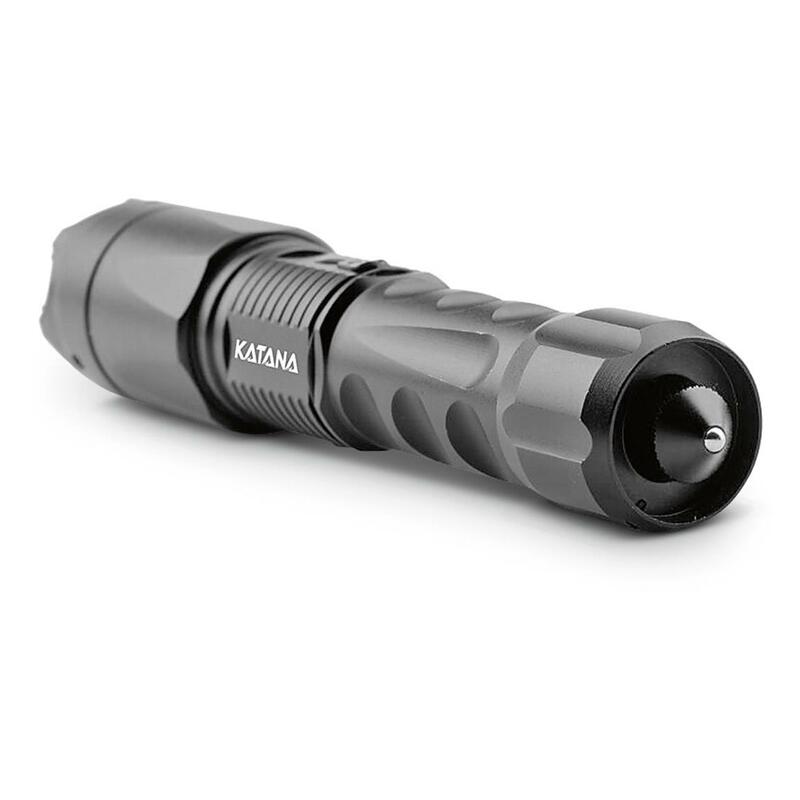 The Katana has three tactical light functions giving you the ideal light choice for any situation. The high and strobe settings are 400 lumens and the low setting is 100 lumens. 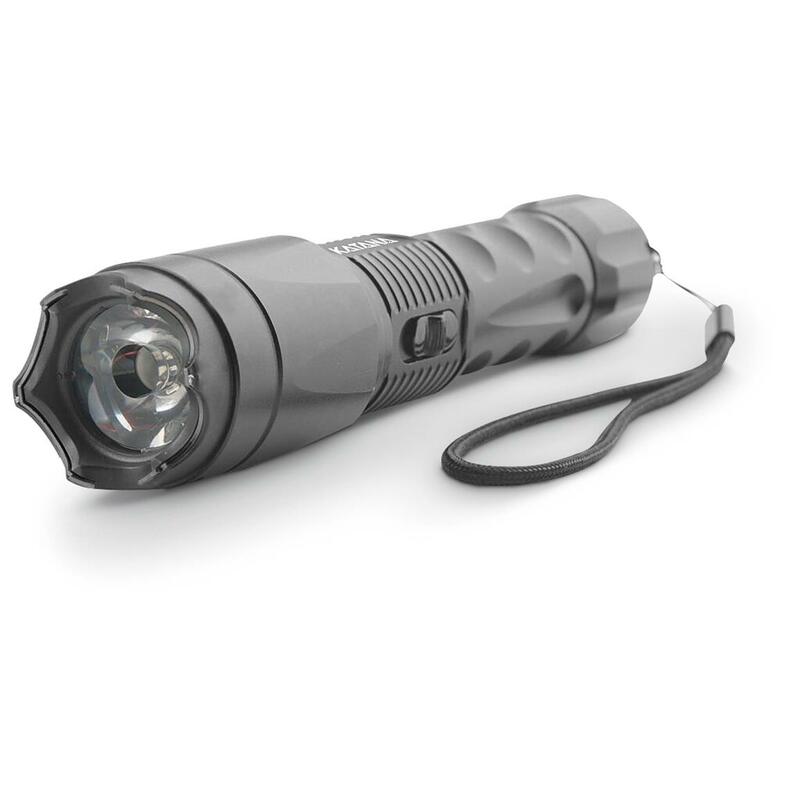 The enhanced aluminum reflector system projects your light further than a standard flashlight. 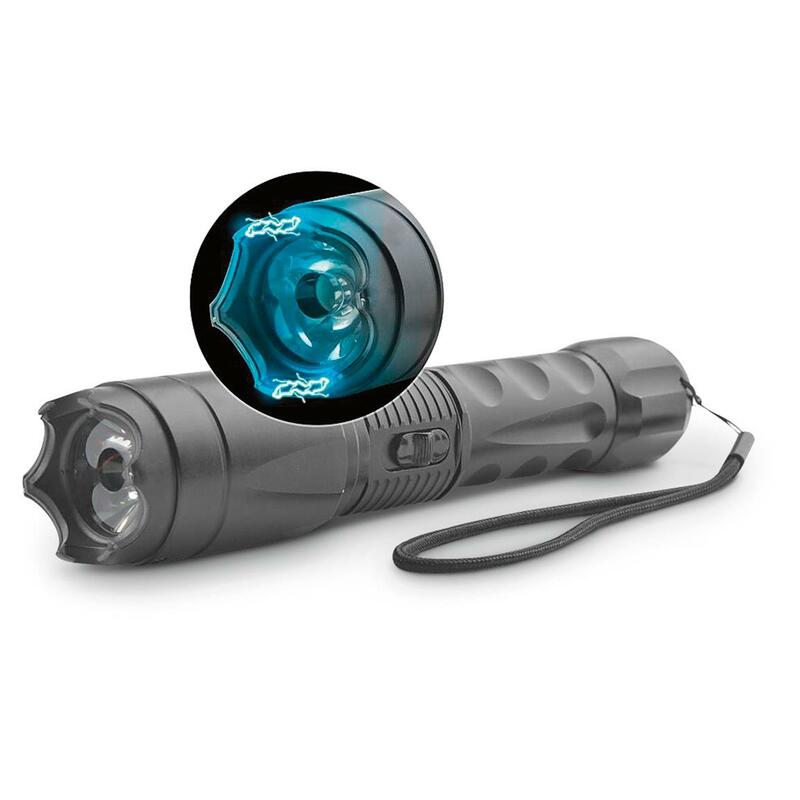 The light is an enhanced CREE bulb for the brightest flashlight available with a stun gun. And with up to 100,000 hours of bulb life, it'll last you for the long haul. Made the way you live. The body of the Katana is constructed of type III aircraft-grade aluminum for greater durability and strength. It's capable of being charged by either a car or wall charger (both included) to power-up while you're at home or on the road. 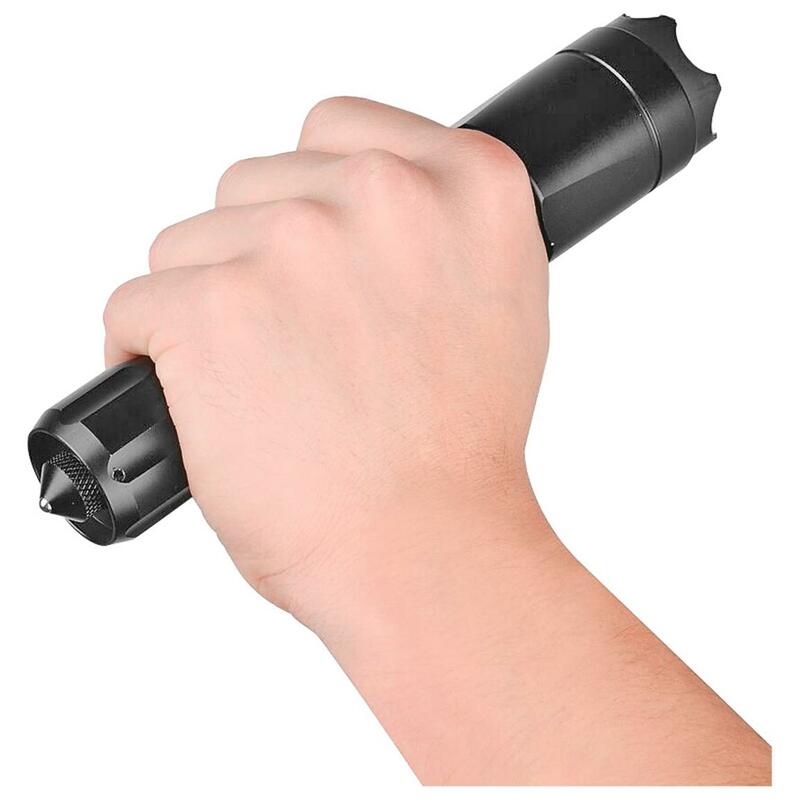 The safety switch prevents accidental discharge, keeping you protected. 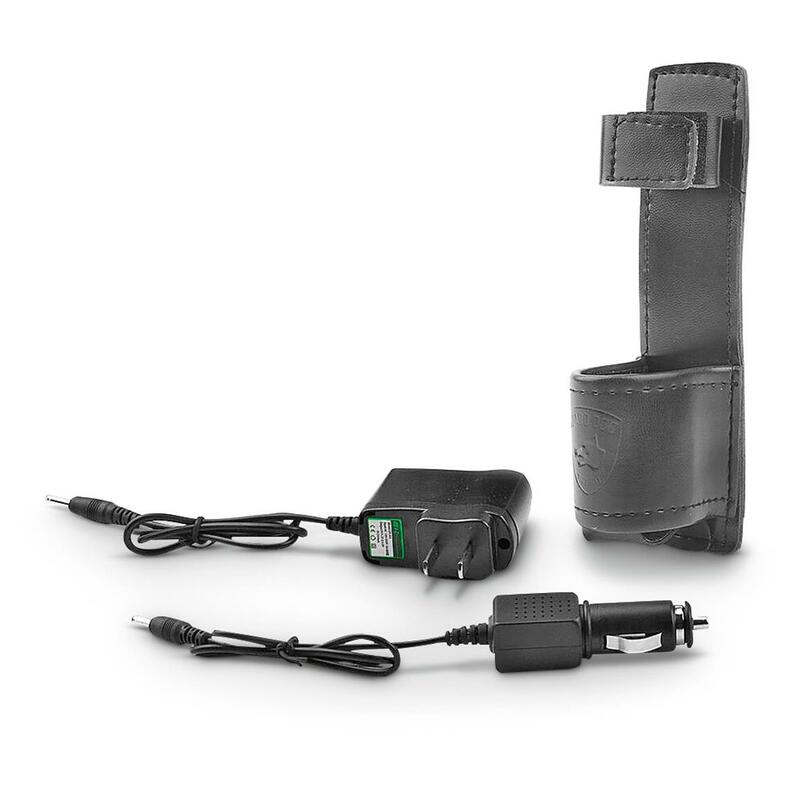 It includes a leather belt holster for easy transport in any situation. 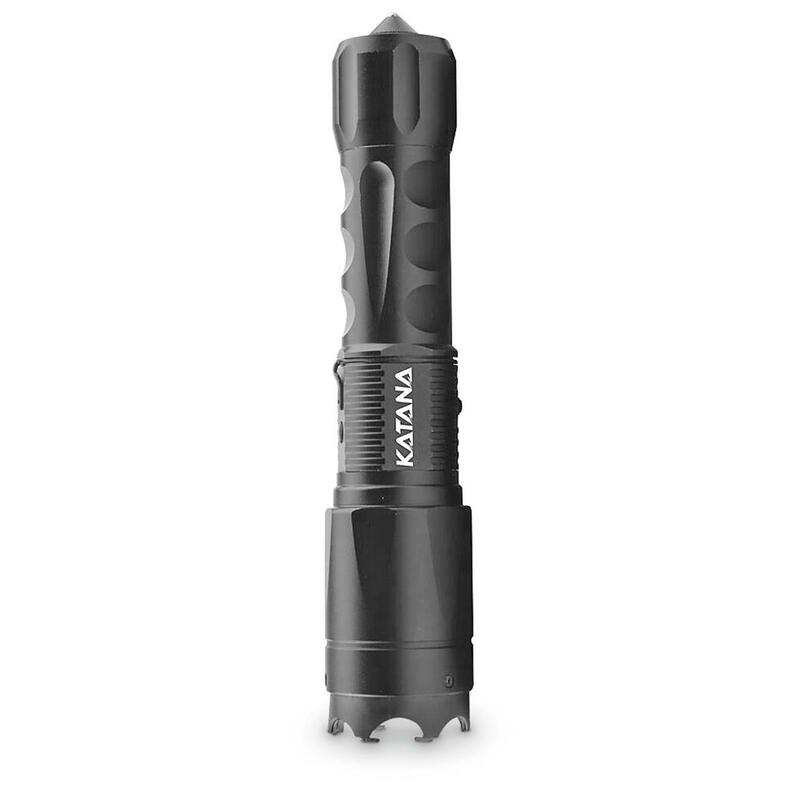 Guard Dog Katana Tactical Flashlight with Stun Gun and Tail Cap Striker is rated 4.0 out of 5 by 1. 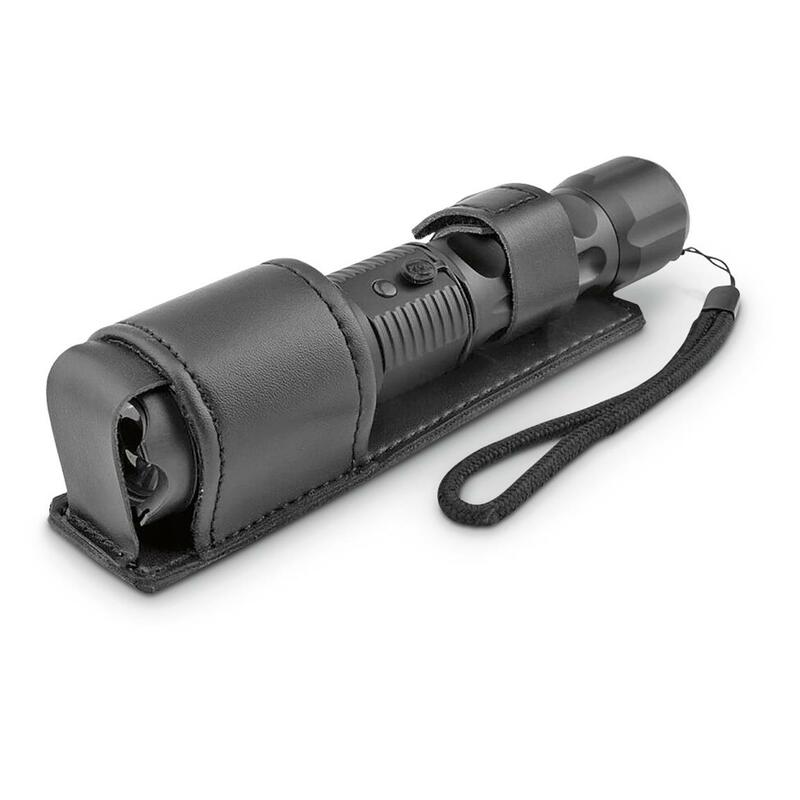 Rated 4 out of 5 by mike from nice light and stun gun I like most that this light has a replaceable battery so you can keep a backup with you if it runs out. The size it great for the hand and brightness is good. I think the light should have had a different switch since you have to turn it off and on for each high low or flash you want. Also the light has to turn off to use the stun, this might be a problem in the dark. Add "punch" to your personal protection.